The latest issues of our regular newsletters can be found here. S.E.R. Foundation presents Award for `Global Mediation DiplomacyÂ´ to the President of the General Assembly, His Excellency Nassir Abdelaziz Al-Nasser The S.E.R. Foundation was honored to award the President of the General Assembly for his four-fold visionary initiatives in Enhancing Peace through Mediation. As the first high ranking person to be awarded with the Award for Global Mediation Diplomacy, he highlighted in an outstanding way, how the ideal of reconciliation through mediation in a practical and very efficient way serves the development of our worldâ€™s societies and possibly provides tools to face present challenges like migration, water shortages etc. The award was handed over after a short laudatio at the end of the Informal High Level Meeting of the General Assembly on "The Role of Member States in Mediation" on 23 May 2012. Reconciliation is high-minded diplomatic leadership and statesmanship in action. The former UN General Secretary Kofi Annan said: "Reconciliation is the highest form of dialogue". You are part of the worldwide reconciliation network. Please, register all your activities and projects for reconciliation and peace. Let us demonstrate that we are one global family, working together for a life in dignity and harmony of all beings. See the enclosed attachment for further information. The S.E.R. Foundation, an NGO in special consultative status with ECOSOC (UN), launches this call to build structures fostering mutual interactions and a renewal of civic relationships between all parts of societies. It seeks to promote outstanding and sustainable values, visions and concrete targets as enunciated by the UN Charter and UN Millennium Development Goals (MDGs). Our aim is to build a global growing network for a life in dignity and peace for all mankind. Register your activities and projects on the website of our affiliated organization, S.E.R.-Foundation, www.serfoundation.org. 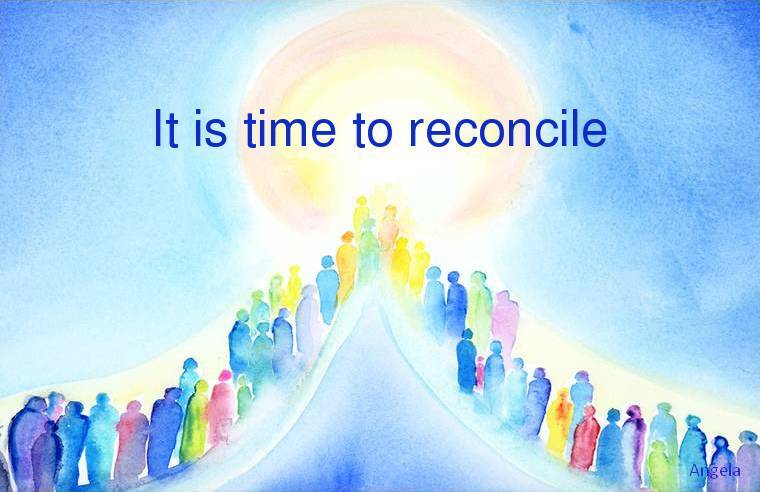 We want to connect all participants and make visible the worldwide efforts for reconciliation and peace. Therefore we collect worldwide reconciliation projects. The annual documentation will be handed over to the United Nations in New York and will be available on the above-mentioned website. Please send us, on completion of your project, a short report of 1 page A4 including 1-2 photos by early December 2014 at the latest. All participants will receive a confirmation from the S.E.R. Foundation in return for their contribution. English, French, Spanish, Arabian, Russian, German. English, French, Spanish, Arabian, German. "In today's highly interdependent world, individuals and nations can no longer resolve many of their problems by themselves. We need one another. We must therefore develop a sense of universal responsibility... It is our collective and individual responsibility to protect and nurture the global family, to support its weak members, and to preserve and tend to the environment in which we all live."